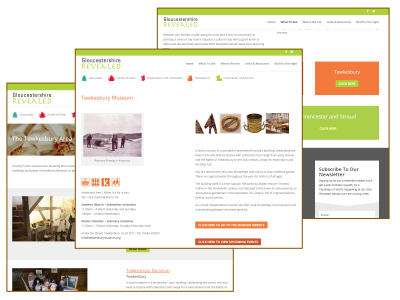 25 museums in Gloucestershire participate in Gloucestershire Revealed, a website and brochure that showcases the museums, galleries and attractions within the county. The Tewkesbury Museum is delighted to be part of this project. There are lots of interesting places to visit in Gloucestershire!